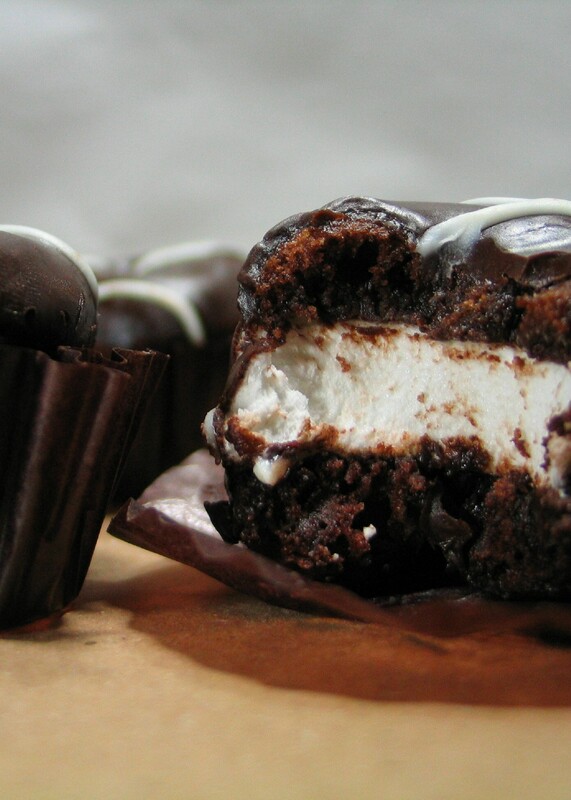 It's a marshmallow sandwiched between a chocolate doughnut hole and ensconced in Belgian chocolate. Best 72 pesos I spent last Friday. I'd been hankering for one of these Belgian Mallow Bites ever since I saw a giant picture of it on a bus and then again on a billboard along EDSA. 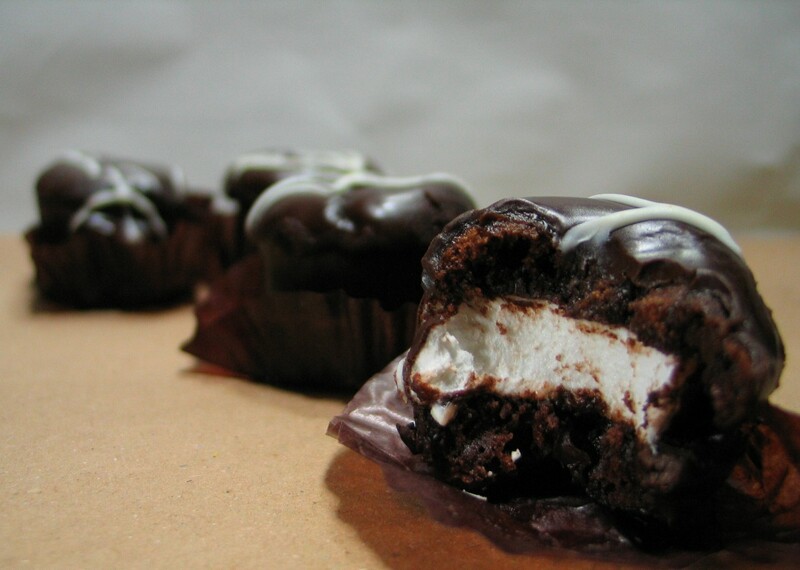 (I love mallow pies, which made Belgian Mallow Bites a winning proposition for me even before I bit into one.) It took quite a while after that before I actually got to buy them though. And that only made me giddy when I finally found a Mister Donut store in Robinsons Galleria a couple of days ago. I bought a box of 6 for Php72 in a heartbeat. Despite the components which scream "sugar overload! ", Belgian Mallow Bites are not overly sweet. That is why it's easy to eat too much of it without really noticing it. Consider yourself warned.